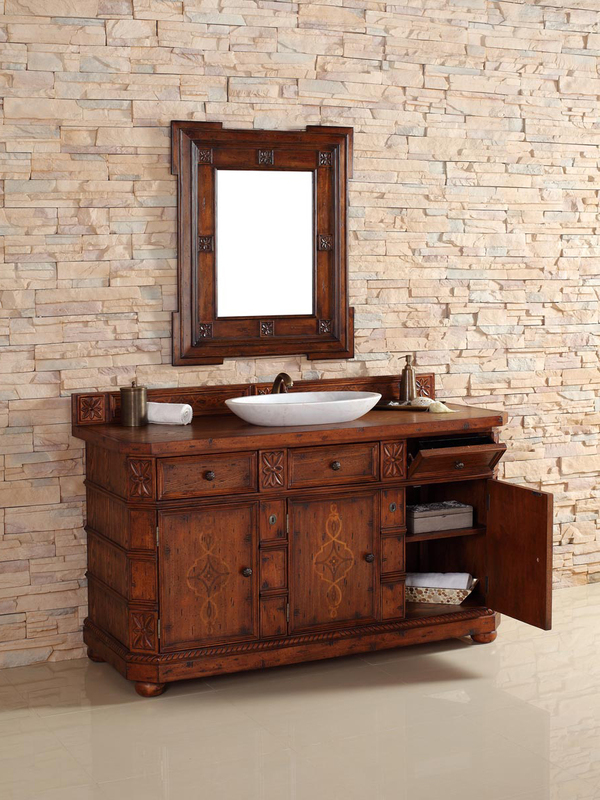 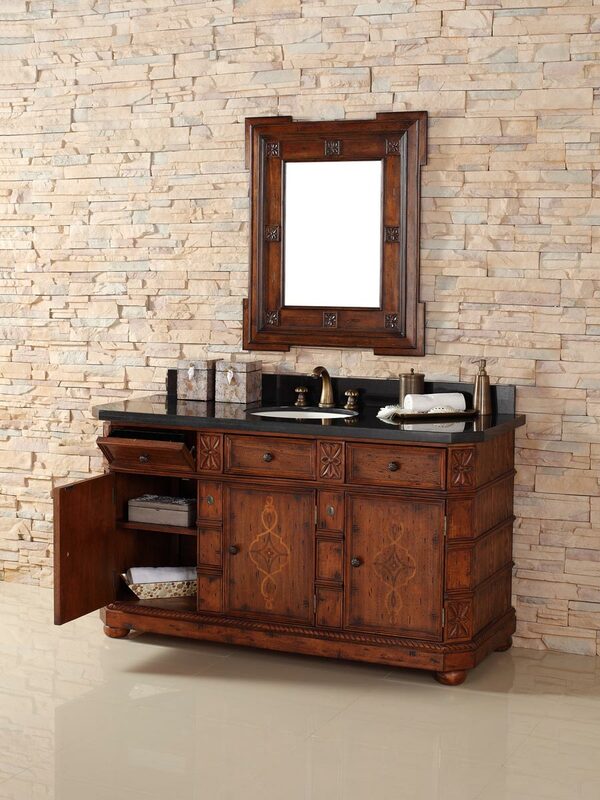 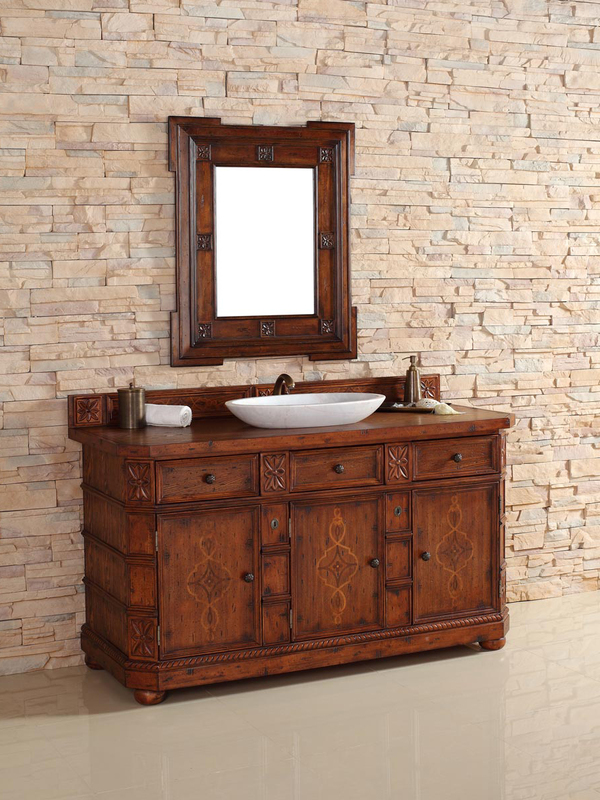 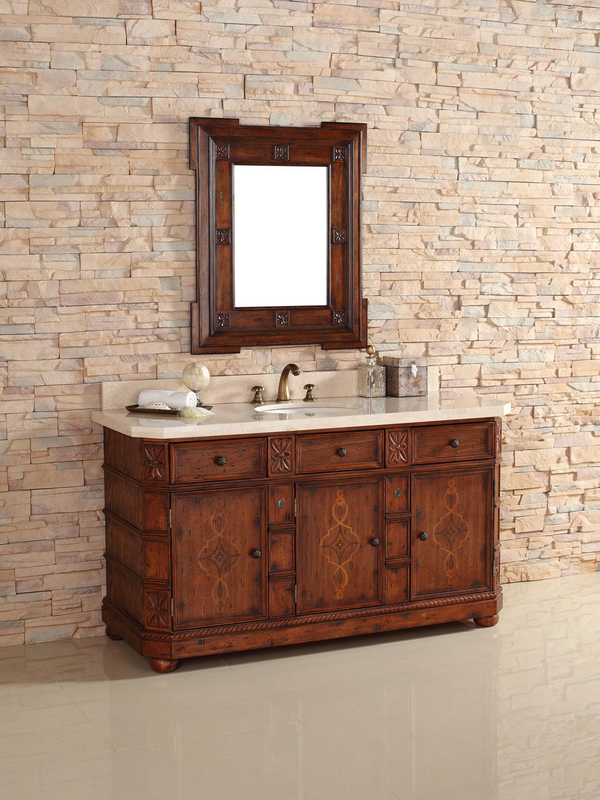 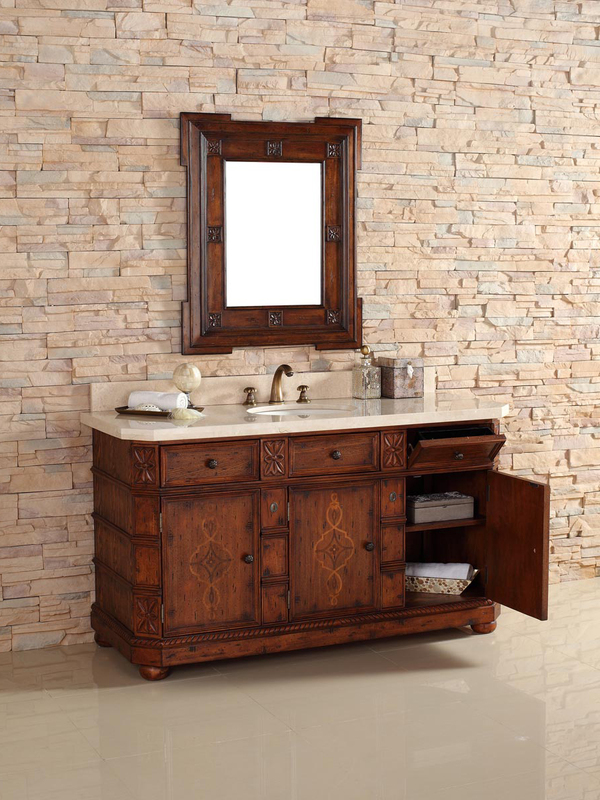 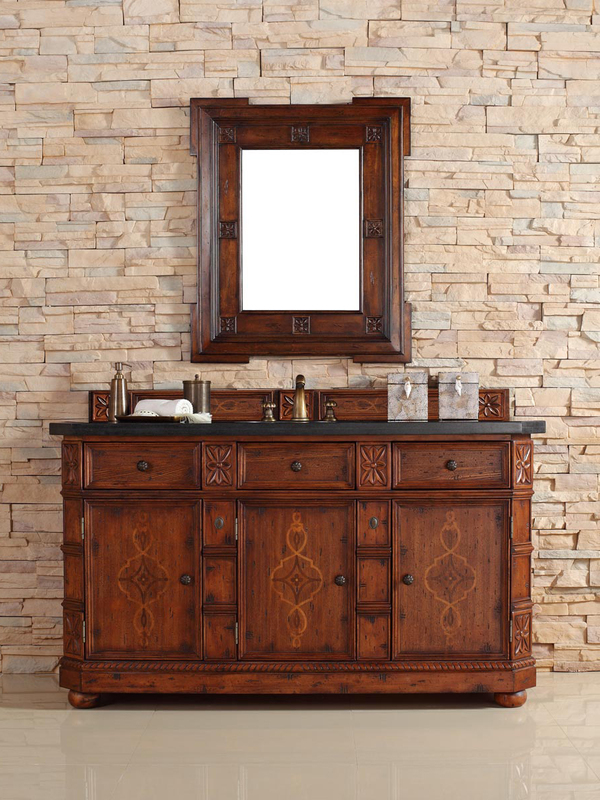 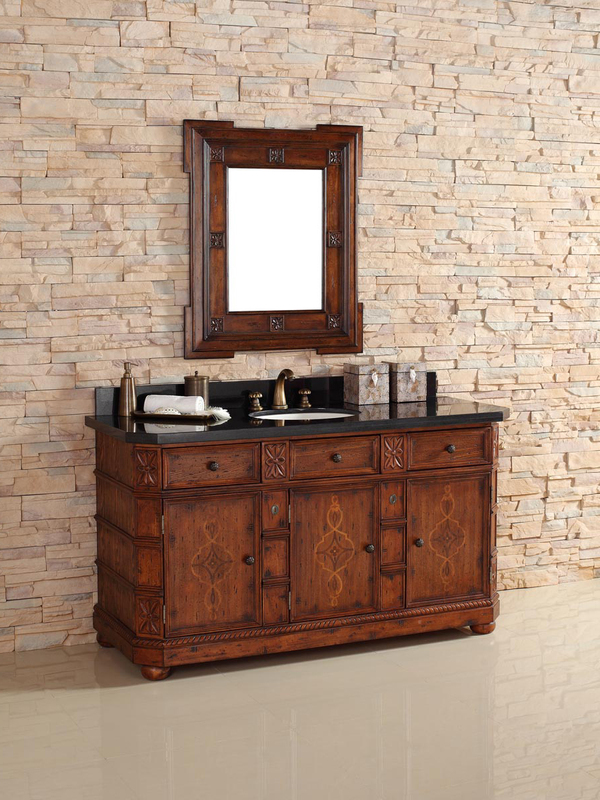 Bring a rustic appeal to your bathroom with the Old World charm of the 60" Charleston Single Bath Vanity. 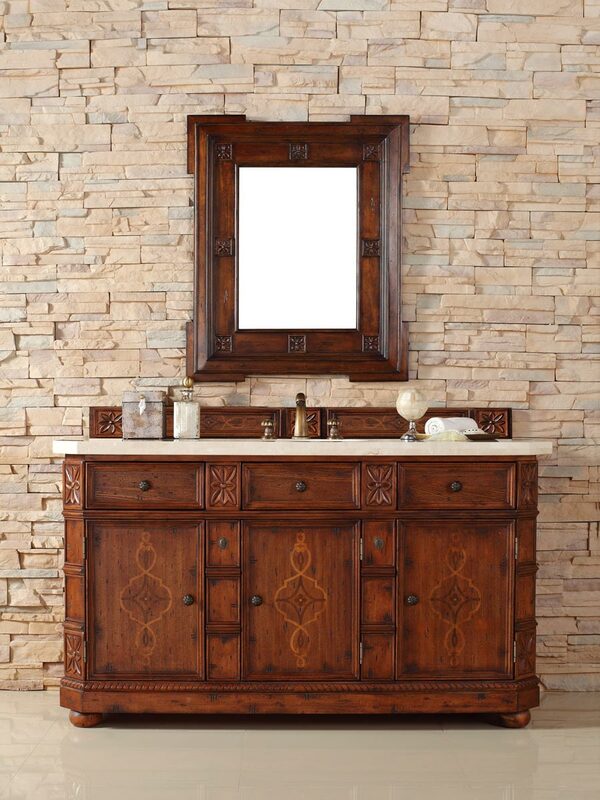 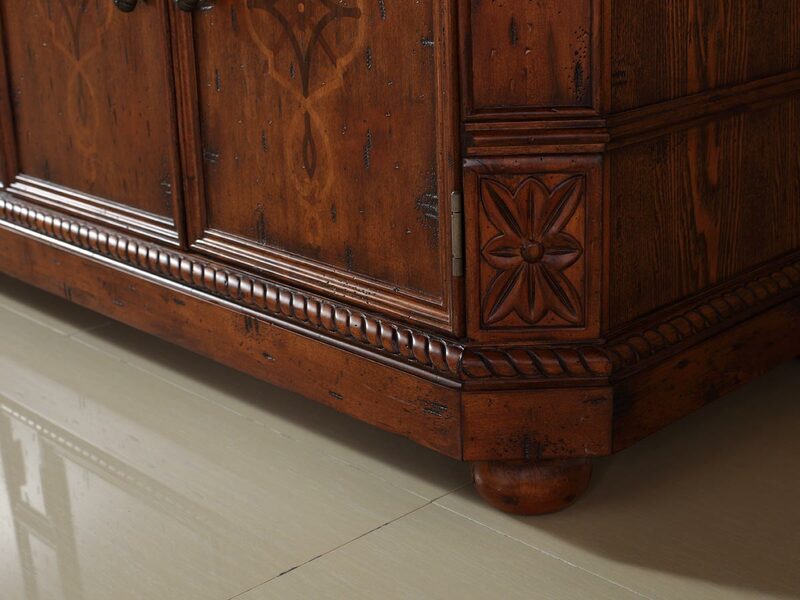 Made from solid oak, this vanity makes a beautiful statement for your home with its Cherry finish and hand-carved details. 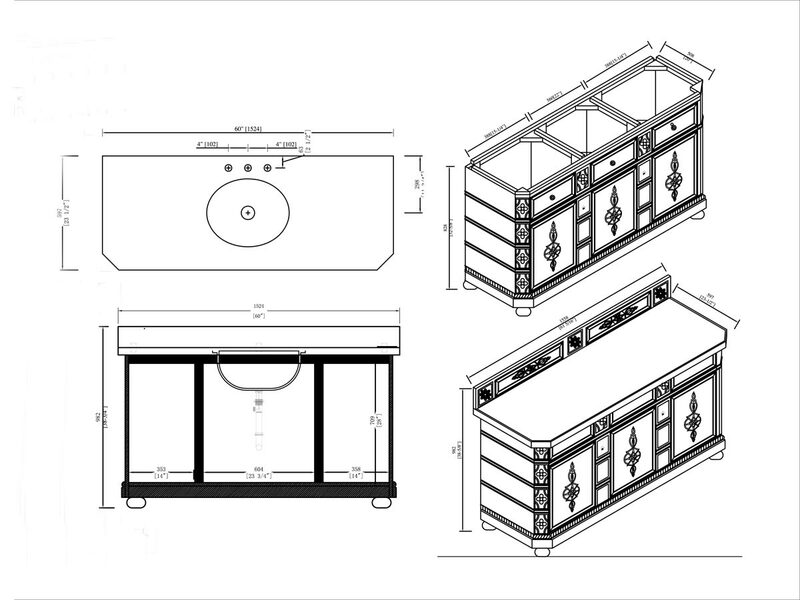 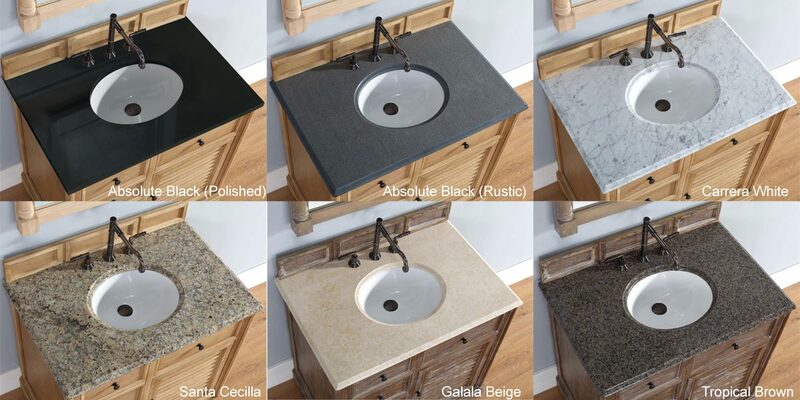 Its top is available in 6 stone options or a matching wood option. 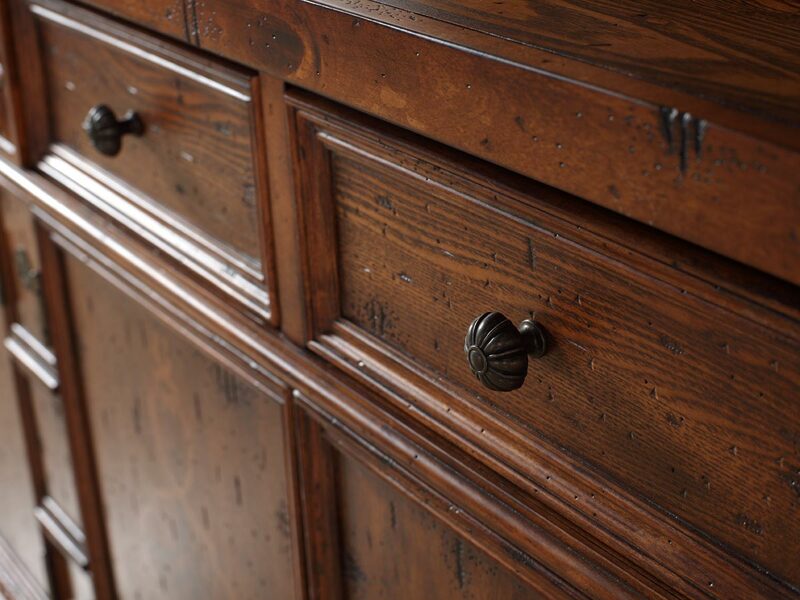 Three single-door cabinets with Antique Pewter finished knobs open up to reveal two compartments of storage space each. 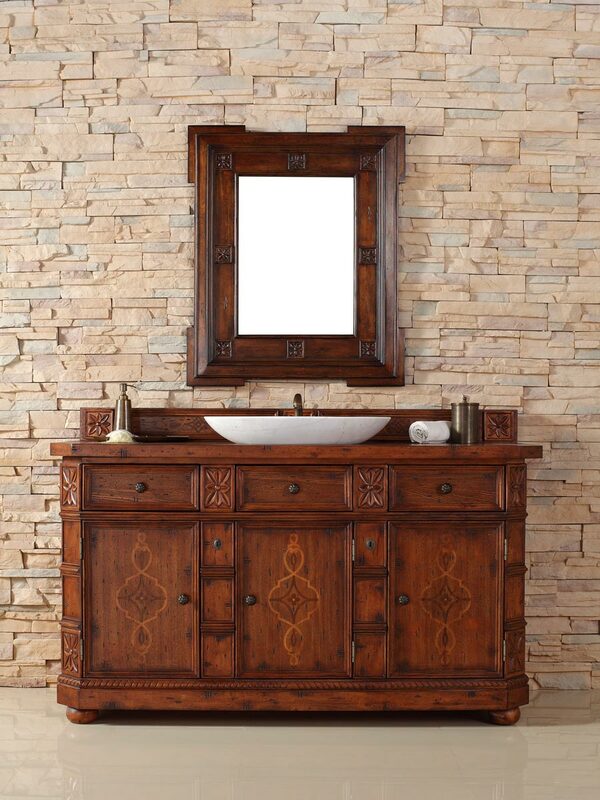 Add the matching mirror to further enhance the Old World appeal.